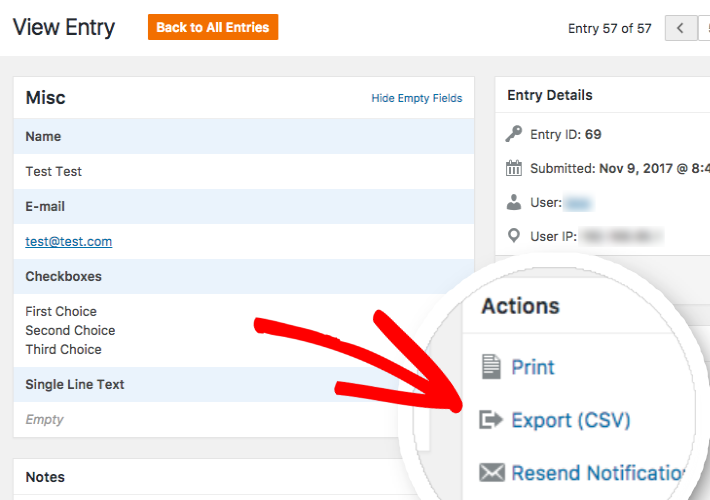 Do you want to export the entries from your WordPress forms? Downloading a CSV file of form entries is super useful, as this allows entries to be viewed in many other programs, such as Excel or Google Sheets. In this article, we’ll show you how to export WPForms entries to a CSV. Before we get started, be sure you’ve installed WPForms and collected at least one entry. 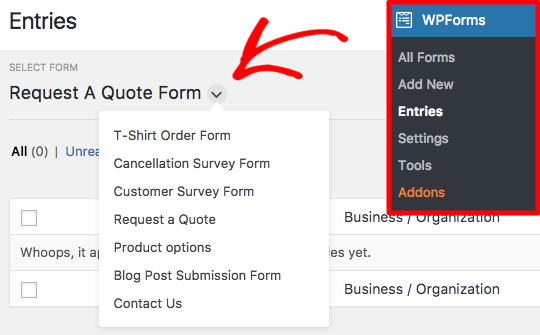 To export all entries for a form to a single CSV file, you’ll first need to go to WPForms » Entries. From there, you can click the arrow next to the form title to choose the form you’d like. Now that you’ve opened the Entries page for the form you want, you can click the Download Export (CSV) link to begin the CSV download. Most browsers will, by default, save any downloaded files to your computer’s Downloads folder. Note: If you need to make any major changes to your form (for example, replacing or deleting fields), please consider duplicating your form. This will allow historical data from your form to be more easily exported to CSV. Sometimes, you may only want to export a CSV for an individual entry. To do this, you’ll still need to go to WPForms » Entries and select the relevant form. Then, you’ll need to click the View link to open the specific entry’s page. Within the right sidebar of the individual entry’s page, you’ll see a list of Actions you can apply to this entry. From this list, you can select Export (CSV). That’s it! We hope this tutorial helped you learn how to download CSV exports for WPForms entries. Next, would you like to find out more about other tools available for form management? Be sure to check out our guide to form entries, where we’ve answered all the most common questions about form management options.